Bovey Castle Afternoon Tea, Devon. 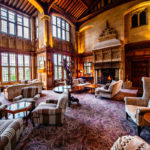 A Bovey Castle Afternoon Tea is the perfect opportunity to experience a British dining experience in stunning surrounds and a beautiful location in the heart of Dartmoor National Park, Devon. This early 20th century mansion was originally built in 1907. At that time the main building was originally build in Jacobean style, and in the 1980’s the Great Hall as we know it today was added. 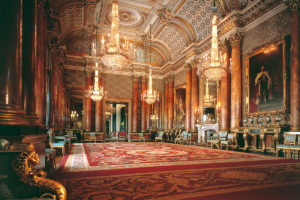 Now a hotel, the interior is elegant with panelled rooms and elaborately carved features. The beautiful garden frontage is set above tiered terraces with views stretching across a lake and the River Bovey. 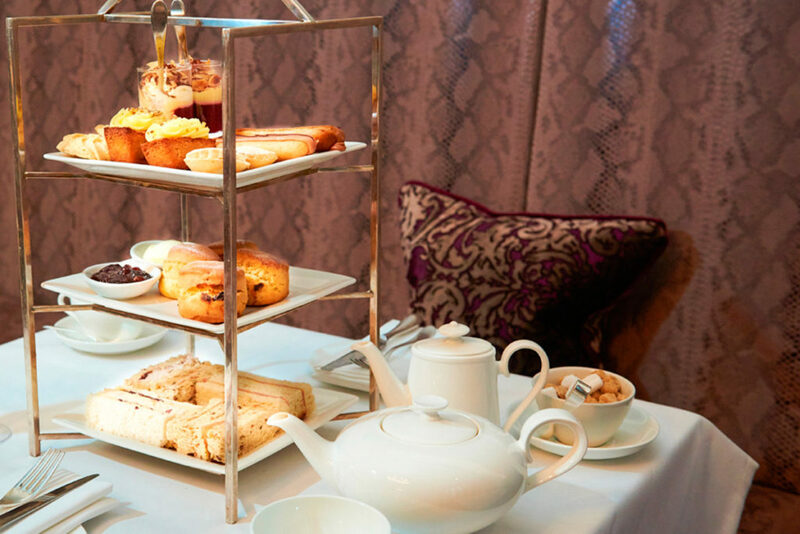 Offering all year round dining, afternoon tea is served in the opulent setting of the Great Western Restaurant, the Cathedral Room or Adam Room. In colder months you can warm yourself beside a roaring fire or when the temperature rises, step outdoors for alfresco afternoon tea on the South Terrace with its stunning views overlooking the entire estate. The Bovey Castle afternoon tea menu changes throughout the year to reflect the very best of each seasons natural larder. 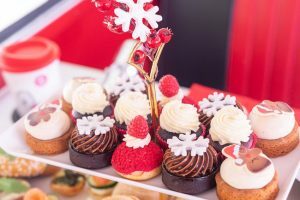 Served on a traditional three tiered cake stand, tuck into a mouthwatering selection of delicate sandwiches, a delicious array of home made cakes and pastries, not forgetting freshly baked scones with jam and clotted cream. Your afternoon tea is served with a selection of loose leaf teas served in fine china tea cups. 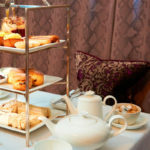 This delicious afternoon tea for two deal at Bovey Castle is available at £70 for TWO courtesy of Virgin Experience. For further information or to make a booking, select the Book Now button below. This would make a lovely gift for a special occasion or simply for you and a friend to enjoy. 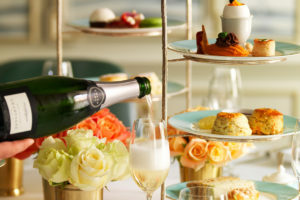 Champagne Afternoon Tea Bovey Castle . 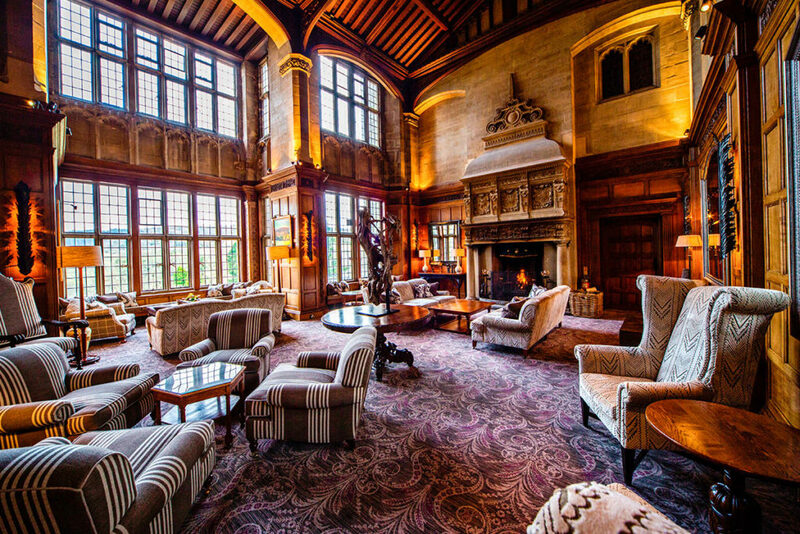 . .
One Night Getaway for Two at Bovey Castle . 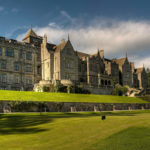 . .
One Night Time to Spa Break for Two at Bovey Castle . . .